Away from Schoolfield and in New York City for over a week, my attention has been drawn towards more urban subject matter. My mother had a book titled “This Fabulous Century” when I was younger. Chronicling the years from 1900 to 1910. While attention was paid to more mundane topics, an inordinate number of the pages and photos in it were devoted to the lives the very rich in that last full decade of the Gilded Age. Through this book I learned about Charles Dana Gibson, Mrs. Astor’s Four Hundred, Newport, and the less than attractive but very wealthy Anna Gould, who was able to snag not one, but two titled husbands. It was a hard cover coffee table book full of glossy pictures that just oozed grandeur to the eight year old child leafing through it. 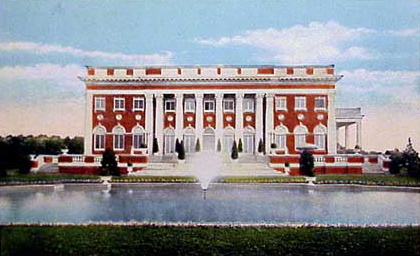 Nothing fascinated me as much however, as a photograph of the block-long Cornelius Vanderbilt Mansion on Fifth Avenue between Fifty Seventh and Fifty Eighth Streets. One always hears “you can’t imagine what their lives were like” when referring to the Vanderbilts’ palaces, but I could, and then some. I could vividly imagine the silent armies of servants, the excess, the protocol, the eight course dinners, the costume balls and the furnishings that were behind the grand doors and imposing gates. The fact that the house stood for less than forty years added to its allure. 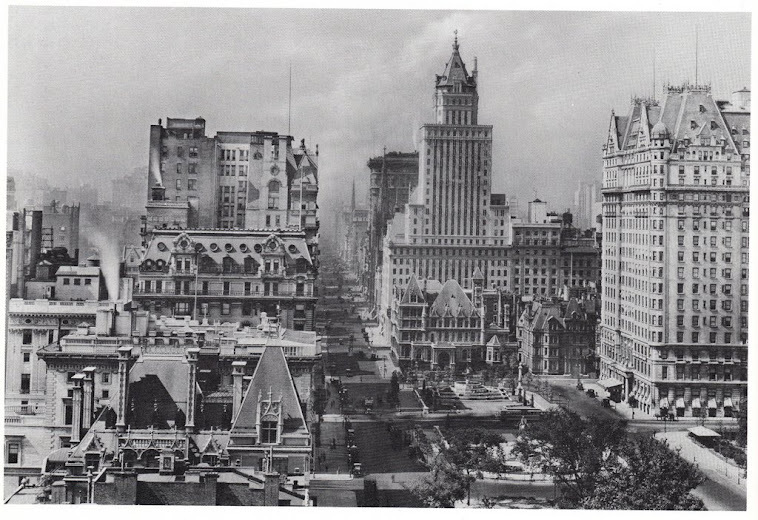 It states “This blog is dedicated to keeping alive the buildings that are now gone.” The homepage features a vintage photograph of the Vanderbilt Mansion that I loved in its last years, surrounded by a canyon of commercial encroachment. photo from The Gilded Age Era I was hooked then and there! This blog tends to focus on the larger mansions of New York’s Gilded Age Elite, including their homes in fashionable resorts such as Newport as well as their urban palaces. The posts have a feel similar to a chapter in a book on great buildings. Not only are they often embellished with copious amounts of photographs and floor plans of the interiors of the mansions. Photo from The Gilded Age Era Photo from The Gilded Age Era Similar to Daytonian in Manhattan, there are often fascinating biographical sketches of the personalities, and anecdotes from the histories associated with them. A recent post on Castlewood, the Bruguiere cottage in Newport Rhode Island, photo from The Gilded Age Eranot only contained all of the above, but also a picture of the New York town home of the builder and familiarized me with her interesting life and tragic end at sea. All three of these blogs treat similar subject matter in a slightly different way, and I would recommend to all who have an interest in looking at the homes and how the “One Percent” lived prior to income tax and the servant problem, to check them all out (you can bedirectly linked to each by clicking on their title above). And yes, it is reassuring to know the real-life stories of these palaces are not so dissimilar to those I imagined as a child!